The Grand Kremlin Palace was built in just twelve years, from 1837 to 1849 in Moscow, Russia atop Borovitsky Hill. It was designed by Konstantin Thon, who oversaw a specially appointed team of architects. The Grand Palace’s imposing beauty was intended to emphasize the greatness of Russian autocracy and historically served as the tsar’s Moscow residence. Overlooking the Moscow River, the palace stands 125 meters long, 47 meters high, and has a total area of about 25,000 square meters. The palace complex includes the equally historic Terem Palace, nine churches dating back to the 14th, 16th, and 17th centuries, the Holy Vestibule, and over 700 rooms and apartments. The buildings are situated around a rectangular inner courtyard. The west building of the Grand Kremlin Palace primarily functioned as the imperial family’s private chambers and state reception halls. This part of the Kremlin is not open to the general public, however select tours are possible for private individuals and groups. 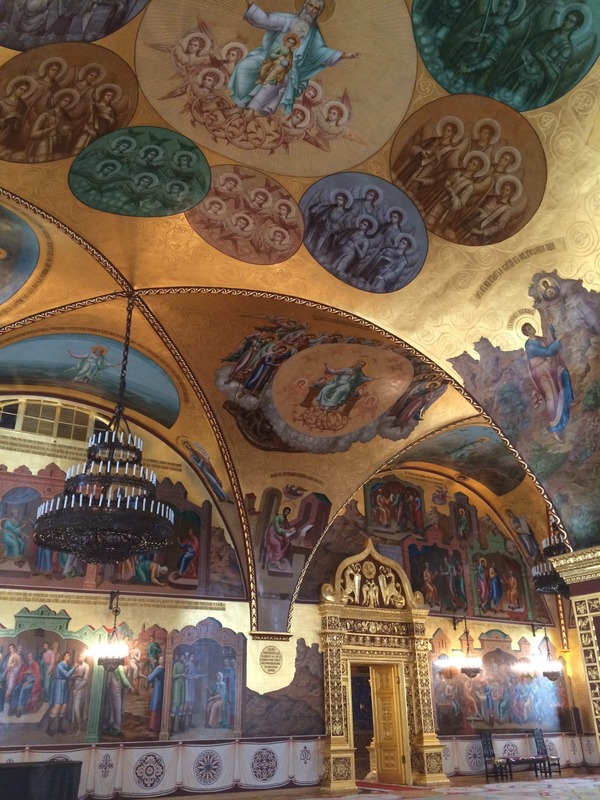 If you are traveling to Russia, it is quite an experience to have a private tour of the Grand Kremlin Palace as the scale and opulence is quite jaw-dropping. Travel to Russia with Exeter International and get an exclusive look at parts of the Kremlin normally closed to the General Public. Our guests are among the few ever allowed to enter these ancient sites. During Soviet times the Grand Kremlin Palace was stripped of it’s ornate gilded interiors and the building became the home of the Supreme Soviet. In the 1990’s Boris Yeltsin had the palace refurbished, replacing the hammer and sickle with the double headed eagle and restoring the gilt. 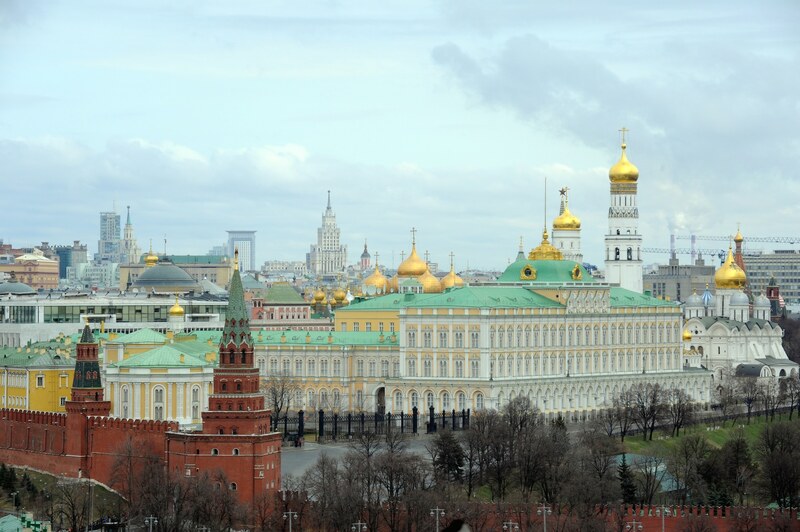 Today, the Grand Kremlin Palace plays host to presidential inaugurations and state visits. The best way to see the scale and opulence of the palace is to see part of Vladimir Putin’s 2012 inauguration (see from 13min to 16min). The nearby Terem Palace was previously, the main residence of the Russian tsars during the 17th century. Its name is derived from the Greek word τερεμνον (i.e., “dwelling”). The complex is generally not accessible to the public, as it belongs to the official residence of the Russian President; however, travelers visiting with Exeter International can get an exclusive look inside with a certified guide. For anyone that is interested in learing more about the Kremlin, we highly recommend Catherine Merridale’s book Red Fortress: The Secret Heart of Russia’s History. 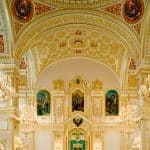 For custom luxury travel and tours to Russia, please contact one of our travel experts.